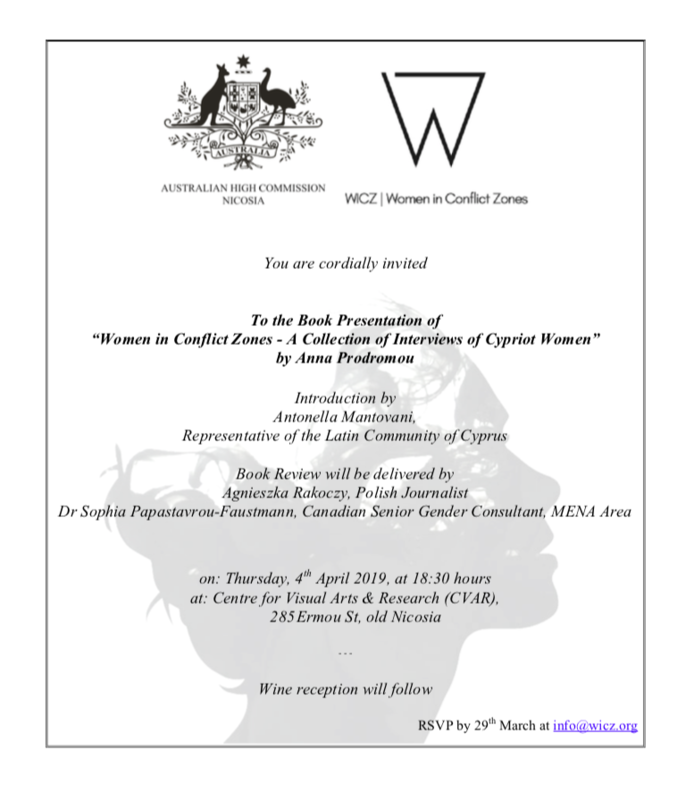 On Saturday April 13th 2019, at 4:00pm, NeMe Arts Center will host a presentation of Anna Prodromou’s book "Women in Conflict Zones - A Collection of Interviews of Cypriot Women" which showcases a collection of interviews featuring Cypriot women from different backgrounds and cultures. The book attempts to shed light on women’s oral histories that uncover the ways in which women navigate through conflict. The book breaks the convention of what is commonly understood as conflict; conflict is seen as any situation in which the rights of women are being challenged or violated. These situations are unfortunately not only restricted to circumstances of war or conflict, but they extend, without exception, into all sectors of society. 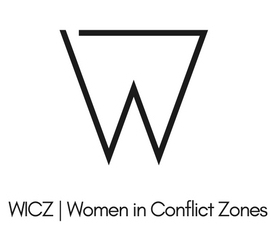 Invitation to the Book Presentation of "Women in Conflict Zones"
Women in Conflict Zones book launch. The book Women in Conflict Zones – A collection of Interviews of Cypriot Women by Anna Prodromou showcases a collection of interviews featuring Cypriot women from different cultures and backgrounds. The book attempts to shed light on women’s oral histories that uncover the ways in which women navigate through conflict. The book breaks the convention of what is commonly understood as conflict; conflict is seen as any situation in which the rights of women are being challenged or violated. These situations are unfortunately not only restricted to circumstances of war or conflict, but they extend, without exception, into all sectors of society. 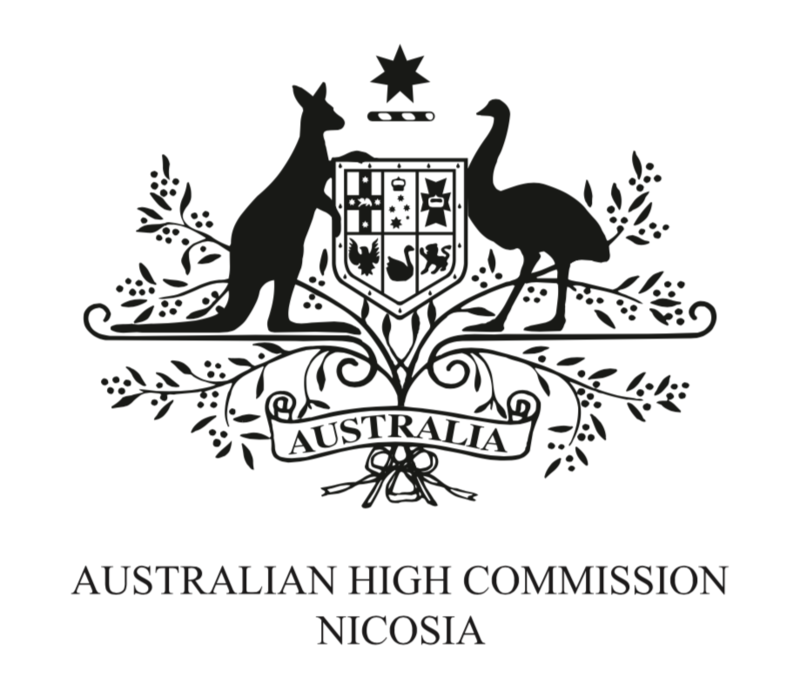 The launch will be held under the auspices of the Australian High Commission in Cyprus on Thursday April 4th 2019, at 18:30 at the Centre for Visual Arts & Research (CVAR) in old Nicosia. Introduction of the book will be delivered by Antonella Mantovani, Representative of the Latin Community of Cyprus and book reviews by Agnieszka Rakoczy, Polish Journalist and Sophia Papastavrou Faustmann, Ph.D. Canadian Senior Gender Consultant, MENA Region. The book creates a safe space in which the multiple dynamics at play in the contemporary Cypriot environment can be discussed, while also engages strongly with the consequences of the Cyprus conflict commonly referred to both by the national and the international community as the ‘Cyprus problem’; conflicts are frequently fought on the bodies of women - a reality that has long been avoided in Cyprus. Books will be available at the launch as well as at bookstores Soloneion, Parga (Tseriou), Işık Kitabevi and online at www.wicz.org.